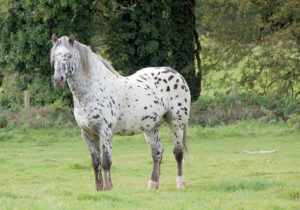 Bear, a truly stunning 7 year old, Leopard Spot Appaloosa Stallion (born 06/2011) . 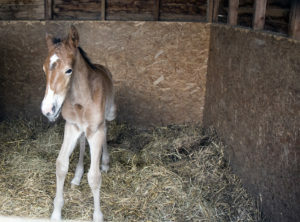 Having reached the point where we have bred enough foals we think Bear needs to go to pastures new. So with that in mind, we have decided to sell him and as at Jan 19 at a knock down price. Bear is 15:3 hands, born June 2011 and is exceptionally well-bred, with a bloodline by Tyersal el-Cid, Tyersal Wolf Dancer and most importantly Dances-with-Wolves. He continues the bloodline. 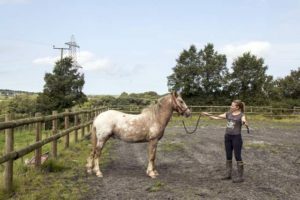 His dad (el Cid) is still at the top of his game having come first/champion in most of the classes entered in the 2016 and 2017 British Appaloosa Society’s BApS Northern Show. 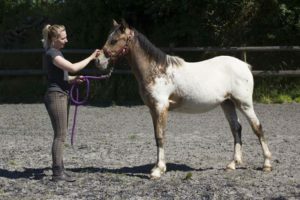 Bear, has sired some amazing foals and will no doubt with the right person continue to do so. 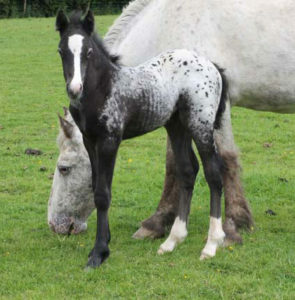 We have shown a few examples of his foals, Barfield’s Dancer, Barfield’s Mojito and Barfield’s Leo. He has of course sired more over the years since we’ve had him from a 3-year old. These are just three of them. 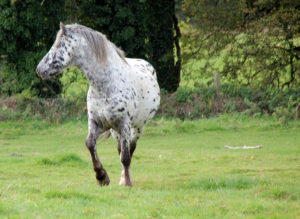 He is to be sold on his own or with two brood mares “Delia” and “Mollie”who are both likely to be in foal. He is for sale @ £ 1,550.00 ONO. For more details please ring Sarah on 07740 639913 or 01566 781215. Video of “Bear” Feb 2019. He’s not his usual clean self, but as it’s the Winter it’s hard to keep clean, no doubt he’s been rolling in the wet field and looks muddy coloured. 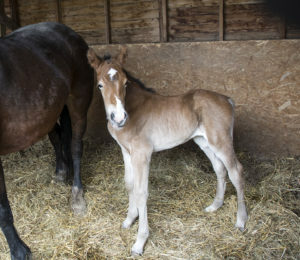 BARFIELD’S New Web Site, Penderrow Sold, Cherry Tree’s Facelift, Lambs and a Foal is born on Barfield Smallholding. Barfield’s New iPhone/iPad & Android friendly web site went live at the end of February 17. It’s taken a while, but apart from on-going updates and new foal pictures (the winter ones are not brilliant as they have their winter coats) we are there or thereabouts. Delia delighted us yesterday (12/4/17) by giving birth early to a Colt during the night. 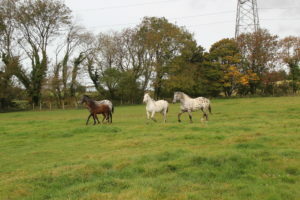 Sky and Molly are due to foal between May and September, so, we’ll hopefully have more to sell later this year. 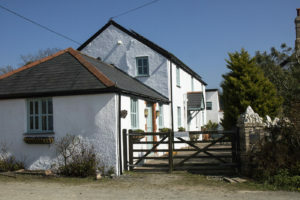 PENDERROW HOLIDAY COTTAGE – As managing two holiday cottages was becoming more of a chore than a retirement project we decided to sell the larger of the two, “Penderrow”, and just rent out Cherry Tree Cottage. So, having dipped out toe in the water to test the market’s temperature in November 16, to our surprise we had a lot of interest and a firm offer to buy it. Our plan had been to sell it around about now (Easter 17), but who’s complaining, we’re certainly not and nor are our agents. A completion date of 10 March 17, was agreed and we were pleased to welcome our new neighbours Chris and Debbie to the village with a drink at our bar and where they were able to meet some of the other neighbours. They seem to be settling in nicely. For my part, I’m so pleased I don’t have to cut the Penderrow grass anymore ha! ha! It had a complete interior re-decoration last year so, that’s it we hope for the next 4- 5 years. Bookings have been encouraging again this year, with holiday makers in there in February and April. May, June and July are partly booked and August is full. 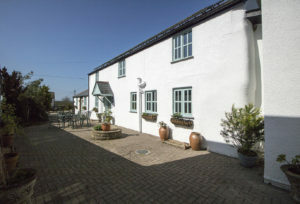 If you fancy a week or 4-day break away, it’s available for 22nd-28th April and some dates during May, June and July. Please see the calendar for availability. BEES – The wait is nearly over. The over-wintering nucleus (new queen and swarm) will be ready for our collection on or after 21st April. Nick and I took our hives to Porteath Bee Centre yesterday (12/4/17), ready for Heather to install the new queen and bees and settle them in. Now it’s just a question of collecting them, (Nick’s away over Easter) so it’ll probably be in about a weeks’ time. So, full of enthusiasm, I’ll probably post some more photos of the new hives and bees in their new home in our starvation paddock. Honey production and candle making will no doubt come later. 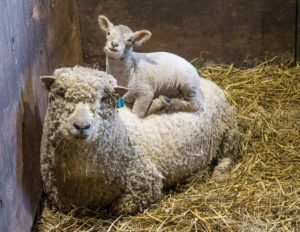 FINALLY LAMBS – Lambing, is over thankfully for another year. Whilst we only have a small flock of Southdown sheep, we ended up with 14 healthy very cute lambs. We did have a lot of sleepless nights having to wake at 2am and 4am to check for new-born lambs. It didn’t help when the new CCTV camera failed and Sarah had to get dressed and go over to check them. But, thankfully the last two came along very quickly so the loss of the camera had a limited effect and we were able to get back to a normal sleep pattern. The replacement CCTV camera is here and will be installed soon. Yes, he climbs all over her, but, she doesn’t seem to mind. 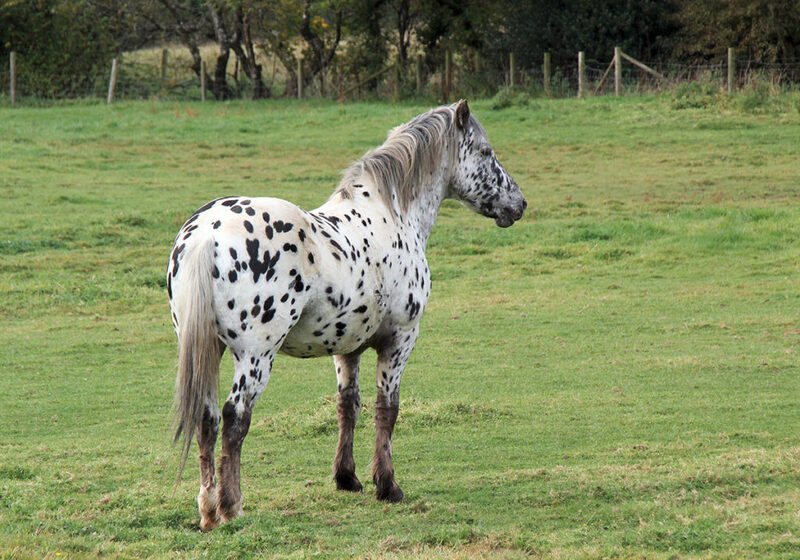 Give us a ring if you are interested in staying in our Cottage or would like to talk about any of our horses.